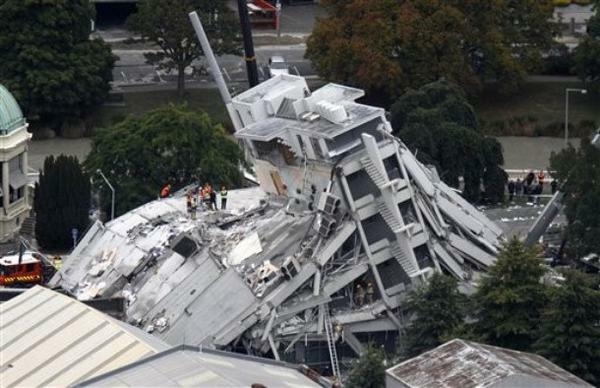 Yesterday Christchurch (and many areas outside of the Central City) was hit by a devastating earthquake. I can't begin to imagine the sense of devastation and loss that those who live in the area (and their friends and family) have experienced since yesterday lunch time. There have been some miracle escapes and some awful tragedies. Whilst the amazing work to find survivors continues in Christchurch by the professionals, many of those who have survived unharmed in the vicinity are working to help those in need. Imba's wonderful parents drove to Hagley Park last night and collected a bus load of people which they found shelter for in their own home and in the homes of others. It's actions and attitude like this one which will ensure that this City and it's people recover from this awful time. Here in Auckland, there is little we can do but wait until we are told how we can help. There are a number of places you can go to find out what you can do at the moment. Paisley Jade has a list on her blog of ways you can help so I won't repeat them here. 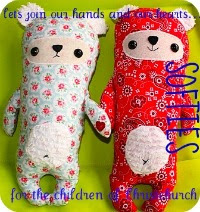 My daughter's school is having a mufti day this Friday to raise money for Christchurch. A child at her school suggested the idea and asked the principal if he could email all the other schools in the country and ask they do the same. If all schools in New Zealand hold a mufti day (and charge each child $2), then they could raise as much as $1 million for the appeal. Go that child. I believe that all the schools have now been emailed so if your kids are at school in this country, please encourage your principal to take part (even if you don't have a uniform, the kids could pay $2 to come to school in their PJs or something equally fun). It's terrible. I feel for everyone in Christchurch ... and everyone in New Zealand. So sad :( Thanks for spreading the news!